Closing schools to achieve a 95% capacity utilization target will result in larger class sizes. Research shows that lower student-to-teacher ratios contribute to increased student success. This is particularly true for schools with large populations of at-risk children (Tier 1, 2 and 3): in these schools, extra space and low ratios are crucial to providing the learning environments required for success. In addition, the VSB’s 25 programs for special-needs students and its challenge and gifted programs all require lower student-to-teacher ratios. When schools are closed, these lower class sizes can only be achieved at the expense of overcrowded classrooms elsewhere. Minister of Education Mike Bernier has stated that larger, more crowded schools are better for students. “Amalgamation offers parents in Vancouver more, not less. A school with more students is one that can offer more and better programs,” he said in a recent interview. But educational research shows that while smaller schools may offer fewer programs, the diversity and participation rate of students is far greater than in larger schools. In secondary schools, access to programming diversity is limited by underfunding and the need to maximize enrollment regardless of the size of a school. In addition, studies have found that students in amalgamated schools rarely show academic improvement and are more likely to drop in achievement levels. Evidence-based research overwhelmingly indicates that larger schools and overcrowding contribute to anxiety, feelings of isolation, and increased incidents of negative behaviours such as bullying. This is particularly true for communities with lower socio-economic status. Analysis of the impacts of mass school closures on Districts in Chicago and Philadelphia in recent years for similar reasons of efficiency reported little overall financial savings, but significant human costs in reduced access to resource services and supports, increased social antagonism, loss of social and arts based programming, and eventual problems of overcrowding. Issues of surplus capacity can be addressed in ways that are much more beneficial to the community than school closures. Two such methods are the creation of Neighbourhood Centres of Learning and replacing large buildings with right-sized, seismically safe schools. Through “partial repurposing”—the leasing or sharing of space with community partners to provide programs that serve families such as early childhood education, counselling, English language classes, or adult education—schools can become Neighbourhood Learning Centres (NLCs) or “learning hubs.” The learning-hub concept was piloted by the BC government in 2008, but it now seems to have been forgotten. The idea proposed that surplus space be used by vital not-for-profit community service providers for the benefit of the whole community. In Vancouver, soaring retail rates have been forcing these services out of areas where they are desperately needed. At the same time as the NLC initiative was announced, the government also amended its School Building Closure and Disposal policy to require Boards to consider future enrollment, early childhood education, and alternative community use when making decisions around surplus or underutilized space in school buildings. Sadly, the initiative was never given the cross-ministry attention it needed to succeed. The BC Trustees Association made recommendation to the provincial government to make NLC spaces more viable for existing facilities by diverting capital expenditures within other compatible ministries, in order to prioritize using surplus space in older school facilities instead of investing in separate capital projects. The recommendation was not endorsed by the government. 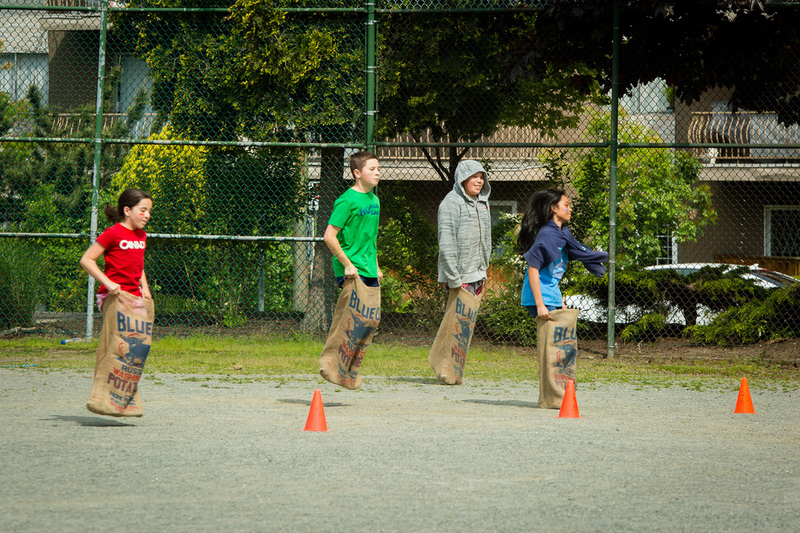 The VSB has invested time and resources into using surplus space consistent with government policy and under the NLC guidelines in schools that are now on the closure list, such as Sir Guy Carleton (Green Thumb Theatre), Sir Richard McBride Annex (SmartStart preschool), and Gladstone Secondary (adult education). Despite the fact that expanding NLC spaces in older school buildings would help to address the rental-space crisis faced by essential not-for-profit community services and could be part of a broader poverty mitigation strategy under the Ministry of Children and Family Development, and despite its own policy guidelines, the government is now refusing to recognize the value of such existing spaces and is seeking to eliminate them by counting them as surplus in its calculation of capacity utilization. Rightsizing through replacement schools better aligns facility size with student populations. Many of the East Side schools currently in jeopardy have student enrollments consistent with those of an average-sized school on the West Side. It’s just that many of the older school buildings on the East Side were built to serve far more students than are now considered ideal for an elementary school. Strategically rightsizing “mega schools” on the East Side would preserve viable school communities while substantially addressing the issue of surplus capacity in Vancouver. In addition, no temporary accommodation would be needed during construction, since students would stay in the existing building while the rightsized building is constructed, thus mitigating the need to evict students in order to repurpose existing school space for temporary accommodation. Addressing seismic risk through the building of a replacement school is also more cost effective. A study conducted in 2011 by Coriolis Corp found that strategically building replacement schools, rather than just seismic mitigation construction on existing schools, would save the government over $200 million over a 40-year life-and-maintenance cycle of a building. This is because many Vancouver school buildings are very old and have exhausted their life span. Consequently, the District has an extremely poor average facilities condition index (FCI) of 0.48; any score over 0.3 is considered poor. 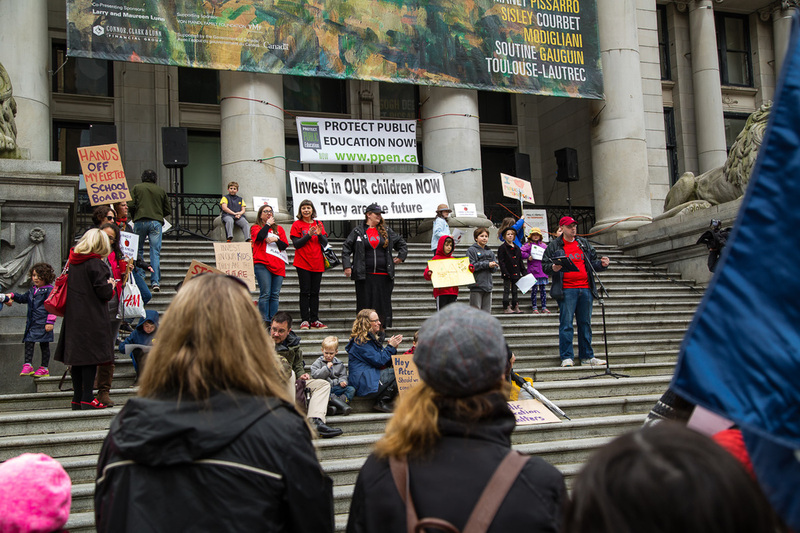 At this point, the provincial government faces $708 million in outstanding deferred maintenance costs to restore Vancouver schools to health and safety standards. A replacement school can, through the design of its spaces, better serve 21st century learning and the implementation of the new provincial curriculum, including more open and flexible spaces that foster creativity, student collaboration, hands on learning, and team teaching. In Vancouver, rightsizing is not only fiscally advantageous: it preserves neighbourhood schools for communities, provides essential non-enrolling space for arts programming or flexible resource space, allows space for much needed community programs such as early childhood education, and will remain structurally viable even after a seismic event. What is an optimal school size? Research shows that there is a relationship between smaller schools—under 400 students for elementary and under 900 for secondary—and academic achievement. The VSB uses student populations of 200-400 for elementary and 800-1200 for secondary as an optimal guide. The importance of smaller schools is particularly pronounced and repeatedly demonstrated for children who are socio-economically disadvantaged; numerous studies show that smaller schools help mitigate the impact of poverty on student outcomes, while larger schools exacerbate the challenges of socioeconomic disadvantage. Are East-Side and West-Side schools optimally sized? If we look at operating capacities of schools in Vancouver, schools on the West Side tend to fall within the optimal ranges‑200-400 for elementary schools and 800-1200 for high schools. East Side schools tend to fall between 400-700 for elementary and 1500-2000 for high schools. A total of 13 East Side elementary schools have operating capacities over 500 students, with eight of those built to house between 600 and 800 students. There is only one West Side school with an operating capacity of over 500. Some West Side schools have even been right-sized to house populations of 200 to 300 students (Queen Mary, Simon Fraser, General Gordon). Currently, despite the disparity in capacity utilization percentages between East- and West-Side schools and the appearance of an overabundance of school facilities on the East Side, the actual ratio of number of facilities to enrolled students is the same. This suggests that there is not in fact an excess of facilities on the East Side. Rather, surplus space, which as we have shown is in part the result of choice mobility, is directly related to the relative size of these facilities. Closing schools on the East Side and stuffing larger facilities to capacity will only exacerbate this imbalance‑and therefore inequalities‑between schools. This is surely a further argument for the rightsizing of facilities over the eradication of neighbourhood schools.